Ergonomic handle for user comfort and easy mobility. 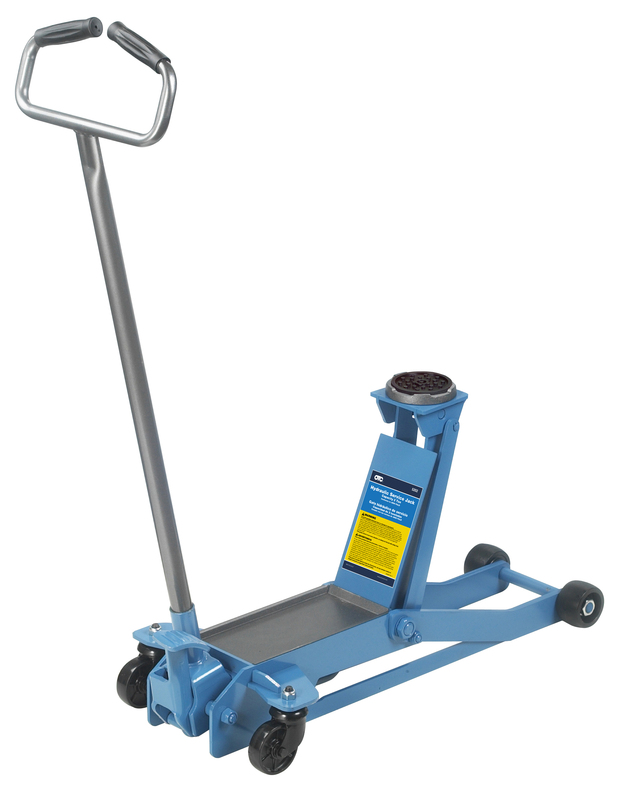 Foot pedal for quick approach of the lifting saddle to load. Built-in tray for fasteners and tools. CE marked - ASME/PALD tested.